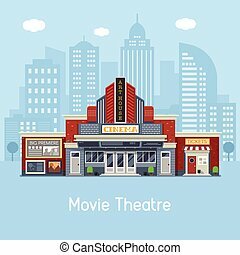 Movie theatre & ticket box. 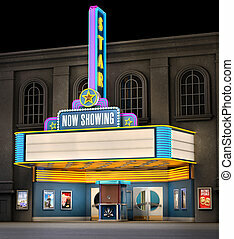 Exterior night shot of a retro illuminated neon movie theatre. 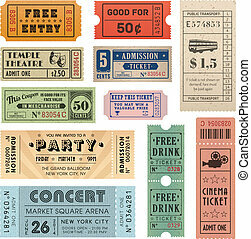 Collection of eleven Vector hi detail Vector grunge tickets. 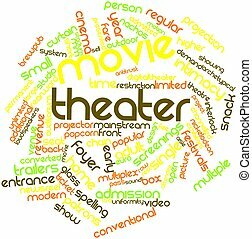 Vector document is fully layered for ease of editing. 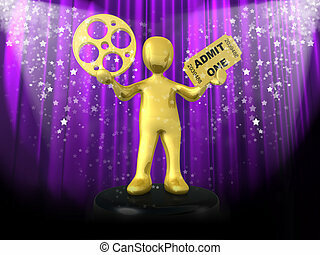 Computer Generated Image - Award Ceremony . 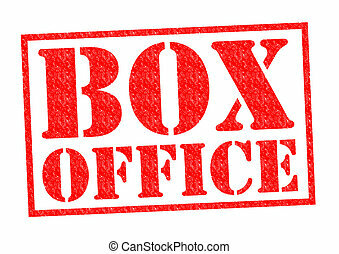 BOX OFFICE red Rubber Stamp over a white background. 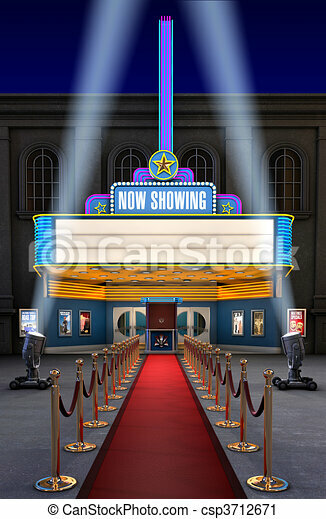 Modern cinema building facade with sign boards and ticket office on downtown background. 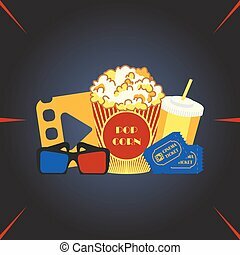 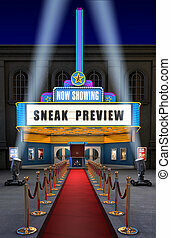 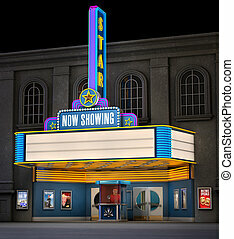 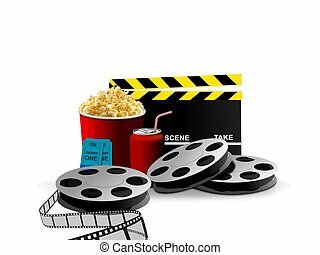 Movie theater exterior vector illustration. 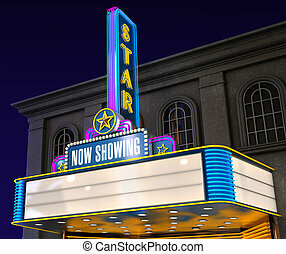 Web banner with city culture and entertainment landmark.